Sometimes we like to drink some wine at home ! Mostly during the weekends. Not only while we are eating but also when enjoying a good movie or sitting outside on the terrace. There are many different tastes and I’m for sure not an expert in this matter… but I wanted to share my favourite red wine ( for several years in fact ) ! Wine for normal get togethers or family dinners are coming from our local mall Delhaize. They offer a wide range of wines and are know for their good selection. BBQ wines ( big party drinks ) are coming from another local mall where price is more an issue then superb taste, although they still are enjoyable to drink ! Aldi is what I’m speaking about. But back to how I got to know the wine… well several times a year het wijnhuis will invite all their customers for an ‘open wine day’ and provide you with a small selection of their own ! So you pay them a visit during that day and are presented with the wines on their selection list, to sample a taste ! 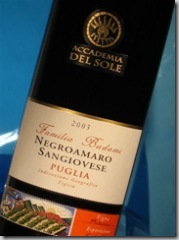 So on one of these events, I was presented with the following wine : Academia del Sole – Negroamaro Sangiovese – Puglia. It’s a wine from the winery Calatrasi, situated in the south of Italy near Palermo. On a side note… there is also a ‘rosato’ wine that I like very much that also features this Negroamaro grape, called Quatroventi Rosato. And looking at some web review, I’m not the only one :), read about it here ! For all people who are hooked on the internet, there is also a very nice wine log website to keep track of your own favourites online : WineLog.net. Here is my current log record – Depechie’s wine list. I like Asian food very much, so when I get a chance I’ll grab a bite at the Wok Away in Antwerpen !! I just love that Shanghai Syndrome. Ooh this is difficult, because I have several… but here are 3 big major shops. 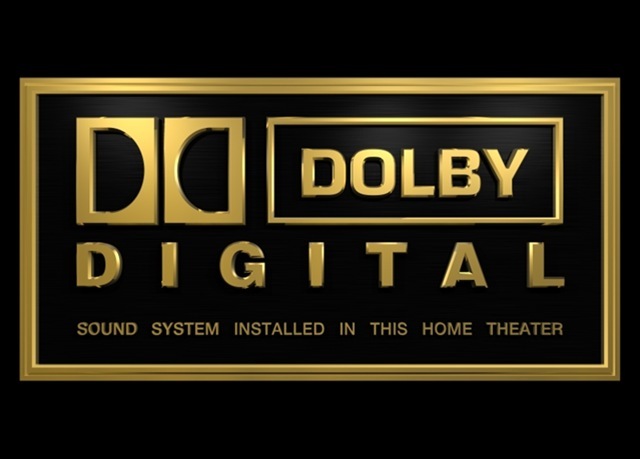 I’m a sucker for movies… so during the past years, I’ve been investing in a Home Cinema Setup ! Now that we live in a new house, the final pieces are coming together. I have a good dvd player, a nice surround receiver, part upgraded 6.1 speaker setup and an universal remote control, so I don’t have to use 5 controls to watch one movie 🙂 . Naturally I still have some issues about the setup, like the television should be replaced and the receiver actually lacks some new features that have come available during the past years. But that’s all future stuff, the one thing I would love to add right now is some home cinema decoration !! 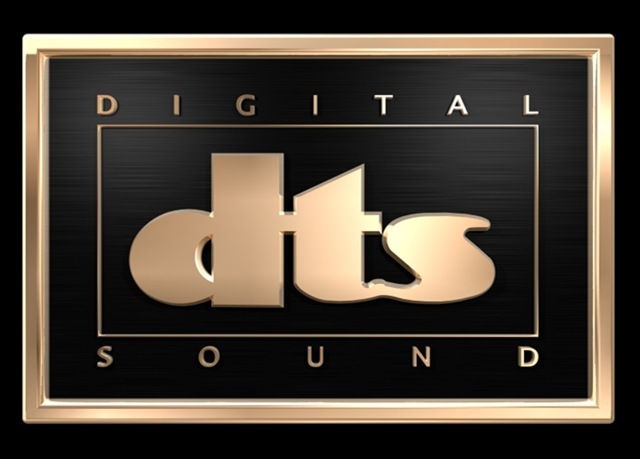 And during the search for my hardware I’ve found several sites where they sell this kind of Logo’s as shields for display !! One of these examples can be found here at Movie Decor Shop. But there is one HUGE problem… I live in Belgium ( Europe ) and it seems that we are out of luck to get these props ! So my first question would be, does anybody have a trip to the USA planned this year ?? Not bad at all, but it’s not the final result I’m hoping for ! So if there is anyone out there that can help me get these shields, please help me out ! !